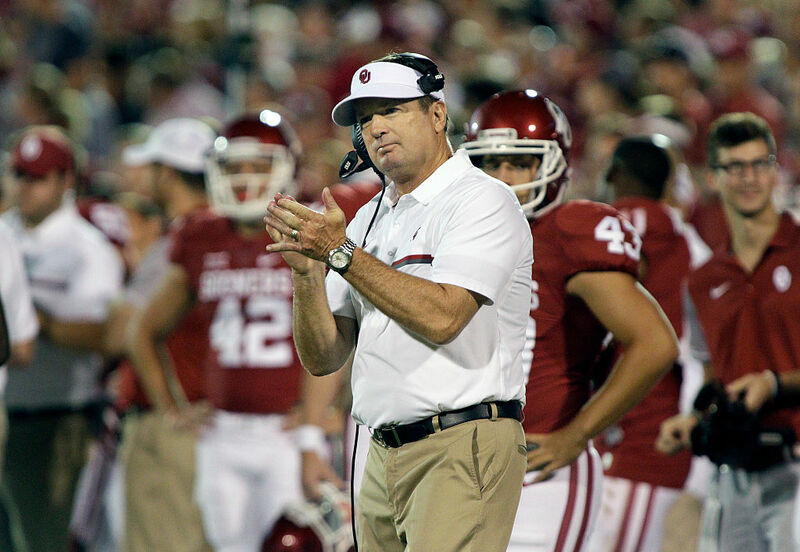 Bob Stoops adds legitimacy to the XFL, but is it enough for the league to make it? Stoops is a nice addition for the XFL, but will he be enough to sell people on the league? Spring football leagues have come and gone over the years. Some have been bright shooting stars that burst onto the scene and then flamed out, like the USFL. Some have been one and dones, like XFL 1.0. And then there were those that found some modicum of success and viability before slowly fading away, like the Arena Football League or NFL Europe. Long live the Rhein Fire. After years of inactivity, we were due for another spring football league to try to fill the unbearable void between the Super Bowl in February and the NFL preseason all the way in August. But this time there are two leagues hoping to break through – the Alliance of American Football and a resurrected XFL. The two leagues will soon be fighting for the same real estate on the sporting calendar. The AAF has a clear advantage over the XFL. The AAF launches this week in 2019 and has the cache of featuring many former NFL executives, coaches, and players. Names like Bill Polian, Troy Polamalu, Hines Ward, Mike Singletary, Steve Spurrier, Mike Martz, Trent Richardson, and Aaron Murray are all former NFL names involved in the league in one way or another. Perhaps most importantly, the AAF has existing television contracts with CBS, NFL Network, and Turner Sports. The XFL is starting next year in 2020, which immediately puts the league at a disadvantage as they’ll be a year behind the AAF. However, the XFL is attempting to steal some of the AAF’s thunder by making a huge announcement for the league’s future – Bob Stoops will come out of retirement to be the coach and GM of the XFL Dallas franchise. Stoops confirmed the job to News9 and said he was drawn to the XFL because it would be “real football” and not quite what the league used to stand for in its original incarnation. That kind of endorsement is huge for the new and improved XFL. In relaunching the XFL, WWE chairman Vince McMahon is trying to pull the proverbial face turn from what the 2001 version was. To use a wrestling analogy, XFL 1.0 was the Attitude Era – an emphasis on violence, over-the-top personalities, wildly experimental rules, and an anything goes mantra. XFL 2.0 is akin to the “PG Era” of WWE. When announcing the league, McMahon said there would be no cheerleaders, no players with criminal records, and (somewhat controversially) no political or social outspokenness from players. It’s clear from the start that McMahon is trying the opposite approach to launching the XFL almost twenty years ago. Back then, the league made a huge splash with its unique brand of WWE attitude-infused football. However, once America found out that the quality of football on display was actually terrible, there weren’t enough smoke and mirrors in the world to cover it up. The league went from a 10.3 opening night television rating to not even making it to a second season. This development is a huge coup for the XFL, given Stoops’ name recognition and pedigree. He brings the XFL something that the league has rarely ever had – legitimacy. Stoops’ presence signals to everyone in the football world that the XFL means business this time around and isn’t just here for shock value. It’s going to be safe for people with legitimate football resumes to attach themselves to McMahon and company this time around. Ever since Stoops retired as head coach at Oklahoma, speculation naturally followed as to what could be next. It’s easy to forget that he’s just 58 years old and has plenty of potential coaching years ahead of him. As a former national championship winning coach, if Stoops were really interested in coming back to coaching, he could have almost any job he wanted in America. That likely includes both the pro and college level. The fact that he would choose to come out of retirement for Vince McMahon’s XFL is a stunner. Of anyone involved with the newfound wave of spring football leagues, he’s arguably the biggest hire to date. The real question is what comes next for the XFL, though. The league still needs a TV deal for next year, a player base, and an infrastructure that their main competitor will already have. There is still much work to be done before the league comes into being. If the AAF can survive their opening season in healthy shape, it’s going to be hard for the XFL to launch into space that’s already being occupied. In short, the XFL needs a lot more Stoops-like splashes to succeed on any level. And that could be coming, with XFL commissioner Oliver Luck openly hinting at trying to sign athletes too young to leave college and play for the NFL. Whatever happens, the spring football competition is getting a lot more interesting.